Egoli: Place of Gold (commonly referred to as Egoli) is a South African television soap opera created by Franz Marx which revolves around the daily ups, downs, trials and tribulations of a handful of families in and around Johannesburg (which is often referred to as eGoli - the City of Gold). The soapie - South Africa's first - premiered on M-Net on Monday 6 April, 1992 and ended with its 4,672nd episode in 18 seasons on Tuesday, 2 March, 2010. Filming on the show completed on Friday, 28 August 2009. On Wednesday, 26 August 2009, Franz Marx Films announced that the show will be sequeled by a movie, set for release at Nu Metro cinemas in June, 2010. The film is titled Egoli: Geheime Dieper As Goud. The final season Season 18 premiered on M-Net on Monday, 30 March 2009, at 18h30. On Monday, 6 April it shifted to the 18h00 timeslot, swapping places with Binnelanders. The series ended it's 18-year run on Tuesday, 2 March 2010. It was followed by a Tribute Show that ran nightly from Wednesday 3 March to Friday, 26 March 2010. Each half-hour episode of the Tribute commemorated a year of the soapie. On Monday, 5 April 2010 the Egoli timeslot will be replaced with the premiere of the re-invented hour long Binnelanders, titled Binneland Sub Judice. See "Seasons" below for seasonal broadcast dates and times. Revolving around the daily ups, downs, trials and tribulations of a handful of families in and around Johannesburg, over the years Egoli has offered classic soapie fare - weddings, murders, births, mystery, intrigue, love triangles and always lots of drama. It follows the lives of a few families living in Johannesburg, from influential business people to the average surburban family next door. There are a few people who work for Walco, an International automobile manufacturer, which is led by the Edwards family. All the other families' lives are intertwined in some way, either as friend or foe. The show is the longest-running soap in South Africa, airing a total of 4,672 episodes before ending in 2010. Egoli has always tried to remain topical and has featured appearances by top local and international stars, artists and celebrities over the years. Guest stars from outside South Africa have included Joan Collins, Richard Steinmetz, James Horan, Perry Stevens, Samantha Fox, Jerry Springer and Helmut Lotti. 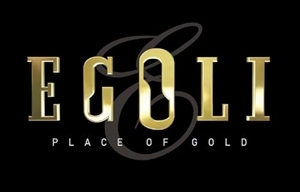 On 3 December, 1999, Egoli became the first South African show in any genre to reach 2,000 episodes. The show was available to all TV viewing audiences in M-Net Open Time until April 2007, when the free-viewing window officially closed. Only four actors - Christine Basson, Shaleen Surtie-Richards, Brümilda van Rensburg and Hennie Smit - have appeared in every season of the show. On Tuesday 11 November, 2008, M-Net and Franz Marx Films announced that the long-running soapie would end after the contract for the 18th season expired.